One in 5 American workers depend on freelance or contract work for their primary income. That is 32 million people. What's more, it's expected that half of American workers will either be freelancers or contractors within a decade. These figures come from an NPR/Marist poll released today, and they represent a remarkable shift in nearly every industry, a shift that means many workers will lose the benefits associated with full-time employment. NPR's Yuki Noguchi reports as part of our weeklong look at the rise of the freelance workforce. DARYL SHETTERLY: This was a stamping factory back in the early 1900s. I think the building itself is a little more than a hundred years old. 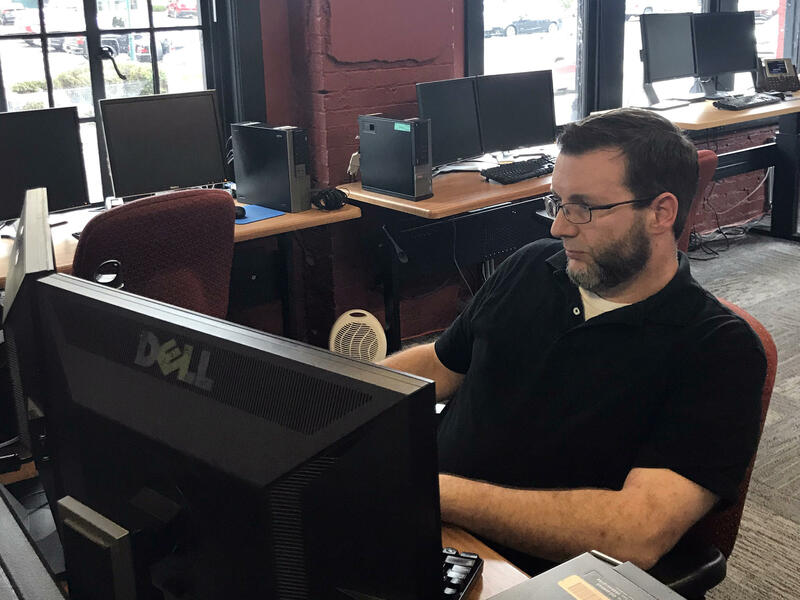 YUKI NOGUCHI, BYLINE: Amid the relics of an old factory in Wheeling, W. Va., a law firm called Orrick has set up a new business model for how to get legal work done. Daryl Shetterly is director of Orrick's analytics division. On the way to his office, he points to faded photos. SHETTERLY: And these are folks - none of whom I've met - but they've all clearly had some history in the building. NOGUCHI: The photo captions show the workers' years of service measured in decades. In the building today, workers can be hired for just a few days. SHETTERLY: Contractors are hired by the hour. We pay them when we're using them, and that is our ability to scale. And so we might have 30 people working today, and tomorrow we might have 80. NOGUCHI: This used to be, like, a factory, right? And do you consider it sort of a factory now? SHETTERLY: It is a factory in that we work to drive efficiency and discipline into every mouse click. NOGUCHI: This division of Orrick was set up as a kind of processing center. Using artificial intelligence and cheaper lawyers speeds up routine tasks such as sorting and tagging documents. The operation is a testament to how contract work is expanding into every corner of the economy. More lawyers are temping or using online platforms to match them with clients. The legal field, in other words, is fragmenting. Gillian Hadfield studies legal markets at the University of Southern California. GILLIAN HADFIELD: Lots of people go into law expecting that they're headed to a secure, well-paying, intellectually satisfying, high-prestige job. And lots of those people find out that's not what they're headed to. NOGUCHI: Hadfield says the speed with which business evolves these days forces everyone else to respond quickly. Employers need specialized expertise on demand, just not for the long term. It's not just business driving the trend. The NPR/Marist poll found a large majority of freelancers are free agents by choice. 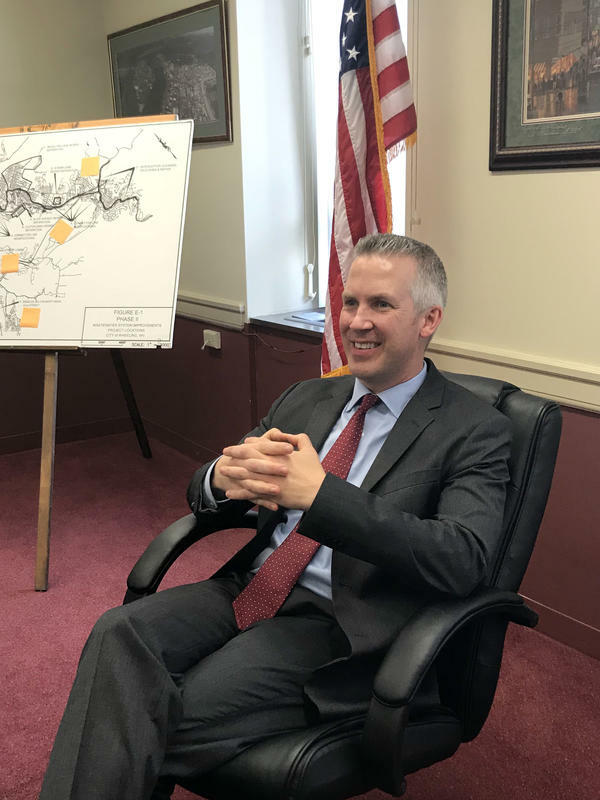 John Vensel is a contract attorney at Orrick who grew up a few miles from Wheeling on the other side of the Pennsylvania state line. In his 20s, he was a freelance paralegal by day, gig musician by night. JOHN VENSEL: I actually wanted to be a rock star (laughter). NOGUCHI: Now 47, there are no edgy vestiges of a former rocker, only a family man cooing over cell phone photos. VENSEL: Those are my babies. That's Grace, and that's Gabe. NOGUCHI: In the two decades in between, Vensel worked full-time corporate jobs, but he was laid off in 2010 on the eve of his graduation from his night school law program. That year, he graduated with huge piles of debt into one of the worst job markets in decades. VENSEL: It was terrible. It was like a nuclear bomb went off when, you know, my son had just been born. It was pretty bad. You know, we've been kind of recovering ever since. NOGUCHI: For a time, Vensel commuted three hours round-trip for a full-time job in Pittsburgh. But more recently, he quit and took up contracting to stay near home in Wheeling. VENSEL: So like, my father - he's in the hospital right now, which is, like, five minutes away. And I'm getting updates on my phone. Now it's just buzzing. And if I need to be there, I can be there in five minutes. NOGUCHI: He says contract work is today's economic reality. VENSEL: You're trading for that flexibility. You're trading for these opportunities to get your feet wet in certain areas and to try them out as they're trying you out. NOGUCHI: And is that something you would like to do - is ultimately get a full-time position? NOGUCHI: But that may be increasingly difficult. Within a decade, many labor economists believe freelancers will outnumber full-timers. VENSEL: My father retired from the post office after 35 years. Yeah, I mean, that's just - we don't live in that world anymore. He has a pension. You know, we don't have pensions anymore. It's a totally different world. NOGUCHI: A short distance from Orrick's offices, Glenn Elliott is thinking about the implications of that different world. Elliott is the mayor of Wheeling, who himself once worked as a contractor at a law firm. GLENN ELLIOTT: I only got paid if I did work. NOGUCHI: He says contract work holds both great promise and great peril for the city. On the plus side, Elliott sees more economic opportunities if it can attract more companies like Orrick. On the other hand, Mayor Elliott worries how this also changes the relationship between employers and workers. ELLIOTT: I don't think that loyalty necessarily exists between employers and their employees that used to be there. NOGUCHI: Those looser ties also shift more responsibility to the contract workers. They must handle retirement saving and health insurance on their own. ELLIOTT: But some people, like, despite their best efforts just aren't going to be successful in doing that. And what's going to happen to those who fall through the cracks? The 1950s model of retirement and getting your pension check every year from your company is not a realistic model for a lot of people increasingly. NOGUCHI: Elliott says the public safety net is already strained by the area's opioid problems, among other things. A future where fewer workers have benefits won't help. The country needs to be having these discussions, he says, but isn't. And with the workforce changing so quickly, the need to answer those questions is urgent. Yuki Noguchi, NPR News, Wheeling, W. Va.
(SOUNDBITE OF ALL GOOD FUNK ALLIANCE SONG, "I DON'T CARE IF IT'S YOUR BIRTHDAY") Transcript provided by NPR, Copyright NPR.